Our 'Lost in the Forest' piece is a creative combination of an abstract subject and contemporary geometric lines. 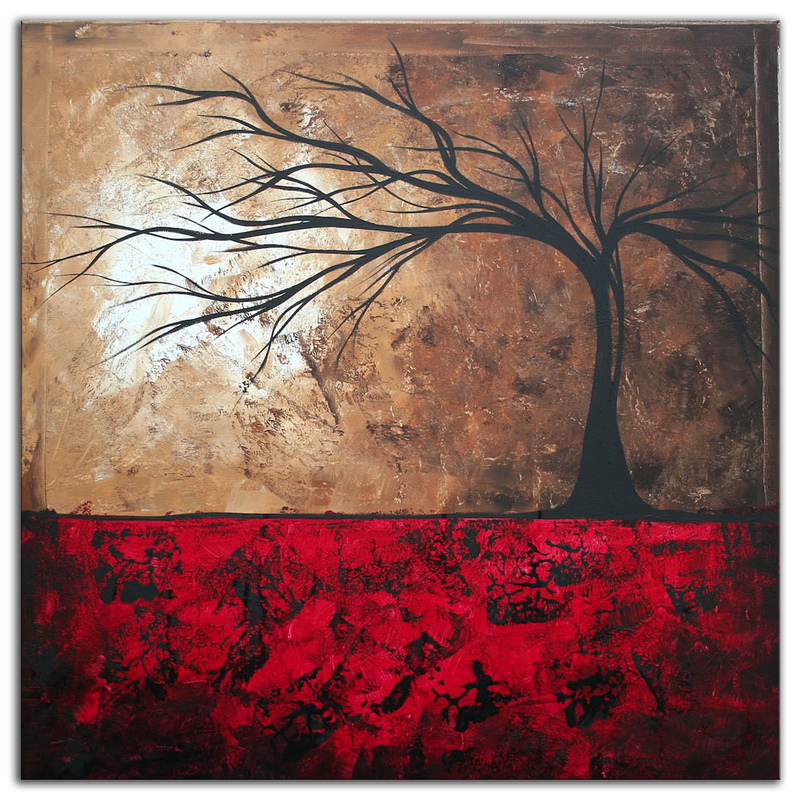 The rich, vibrant red of the earth contrasts gorgeously with the golden brown skyline in this modern landscape scene. The sweeping branches and stark colors invoke strong emotions of overcoming an intimidating scenario. 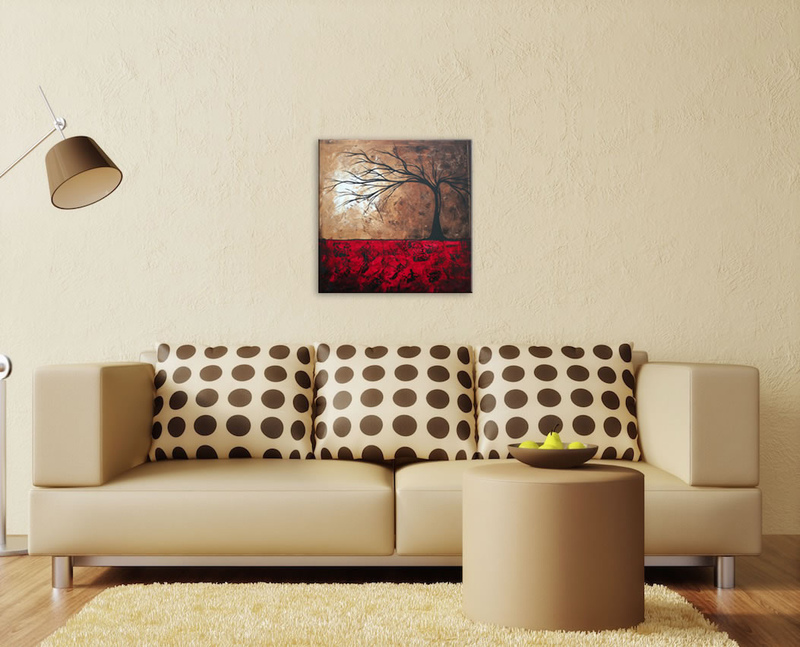 The piece creates a wonderful display with an alluring design that makes a statement on your wall.